Can Your LMS Do THIS? At Avilar, we are proud of having a learning management system (LMS) that’s enormously flexible. We’ve talked to many learning leaders who expressed disappointment with the rigid workflows of their homegrown eLearning systems. Or with the limitations of large enterprise resource planning (ERP) systems that manage multiple human resources functions, but are inadequate for optimizing learning programs. Many are frustrated by delays or denials of their requests to add features they deem necessary to make workforce development a success. Over our years of working with many small and mid-sized organizations, Avilar has addressed an eclectic mix of problems by adding fields to a screen, inserting a step in a workflow or repurposing existing features. Each challenge is like a puzzle we’re compelled to finish. We can’t walk away until the full picture is in place. For this blog, we share just three examples of practical ways our clients have repurposed WebMentor LMS to meet unusual requirements. Enjoy! 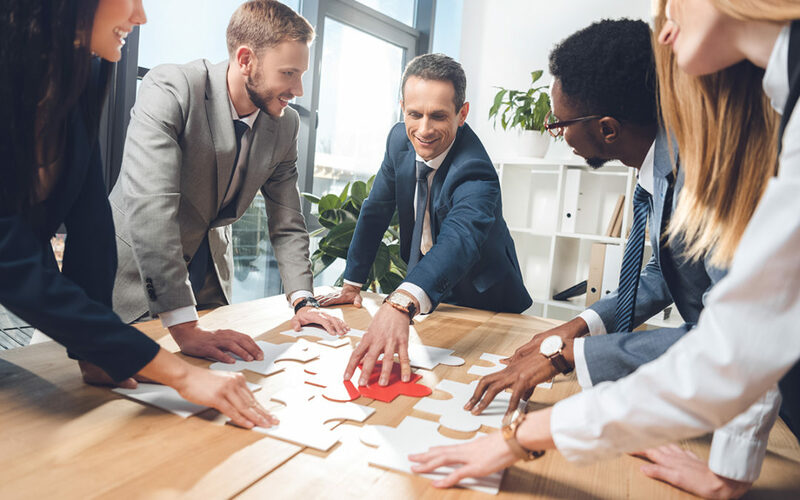 Corporations and government organizations alike are routinely faced with challenges to recruiting, hiring, developing and retaining skilled employees. An LMS, of course, can help identify employees who have completed certain learning requirements or can outline individual learning paths for employees. They can also track certifications and progress through curricula. Flag open jobs and make those visible to qualified employees. Allow employees to apply for the jobs, giving managers visibility into the request and process. Track employees’ long-term schedules, to support a program that rotated employees to new positions/experiences every three years. This unconventional use of the LMS supported the agency in finding and developing qualified personnel to fill important vacancies and take on greater responsibility in the organization. Because interns are at their placements temporarily, many employers bypass the opportunity to set up learner profiles for interns in their LMSs. But treating interns like employees can benefit all parties – especially if interns later return as full-time employees. In fact, as one federal agency found out, an LMS can be an invaluable tool to support the actual internship programs. In this case, we worked with the agency to develop a customized planning tool for its annual intern program. Interns completed self-administered skills assessments at the start, midpoint and conclusion of the year-long program. Supervisors and mentors also assessed interns’ skills, to capture a multi-rater view of skills and skills gaps. Interns set career goals and selected from learning resources available in the LMS to create a customized individual development plan. Mentors used LMS reports to monitor progress and adjust development planning, as needed, to maximize appropriate learning and skill development. Interns outlined career development activities that would help them advance along their career paths. When the program was over, there was a clear and shared understanding of how each intern developed through the experience. And, interns had a complete learning transcript that supported their work experience. Though there are a variety of learning assessment models, most agree that the real value of learning starts when the student changes behavior, working better. Ideally, improved behaviors result in improved business metrics. 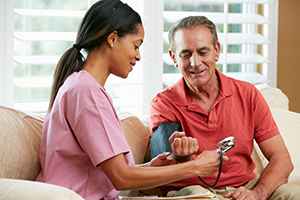 One visiting nurse service set out to do just that – only their goal was to improve care for older patients served by home health agencies. Visiting nurses are charged with caring for some of the most vulnerable individuals and families. Their medical care and support is designed to help patients recover or manage chronic illnesses in the comfort of their own homes. Nurses first charted data for ten patients, to establish baseline care and patient well-being. Each nurse then completed one of the in-depth online courses. It often took three to six weeks to complete each course. Patient data was again entered into the system before the nurse progressed to the next course. Over the four-year project period, the training program was completed twice — and reached approximately 300 frontline managers, 3,000 nurses under supervision, and 150,000 to 200,000 older patients. The agency was able to document improvements and share best practices in the areas of medication plan compliance, identification of complications, and communications with physicians. Are you wondering if your LMS can do more of what you need it to? Are you interested in more examples of how Avilar’s WebMentor LMS has solved business problems beyond the typical learning agenda? Contact us. We’re eager to solve the next puzzle with you!